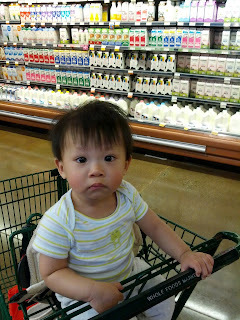 Went to Wholefoods today to buy some milk for Wy 'cause it's running out! 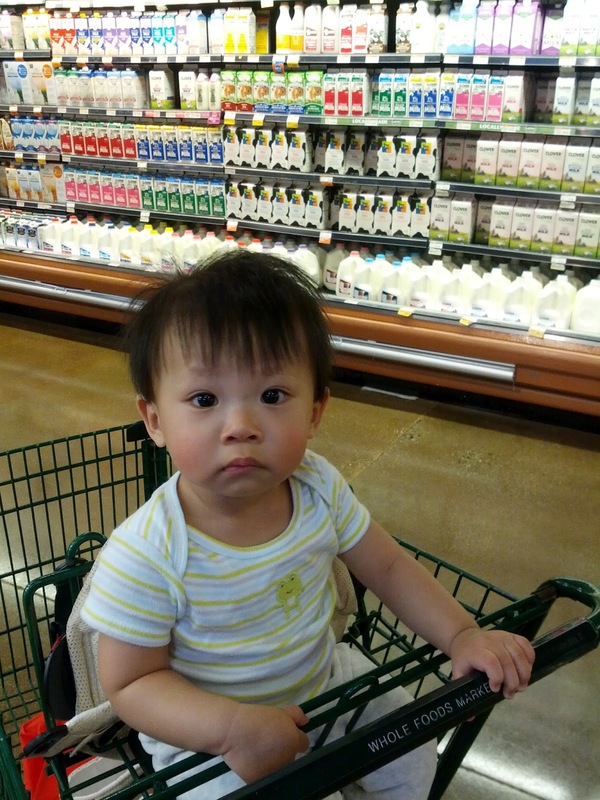 I'm already substituting some breast milk with organic whole milk since he's 10 months old. It's slightly more than 2 weeks that I stopped nursing him directly... just pumping for now. One more week to go and I'll be "free"! Can't wait!! I'm sick of washing those pumping accessories. He woke up like around 5:45am this morning, and we let him cried for like 45mins! :P ...too tired to entertain him this early and hoping that he would fall back to sleep. Unfortunately not... :( Anyway, his schedule for today is pretty much screwed up.